You are here: Home / Town Happenings / Fan Photo – Snacktime! 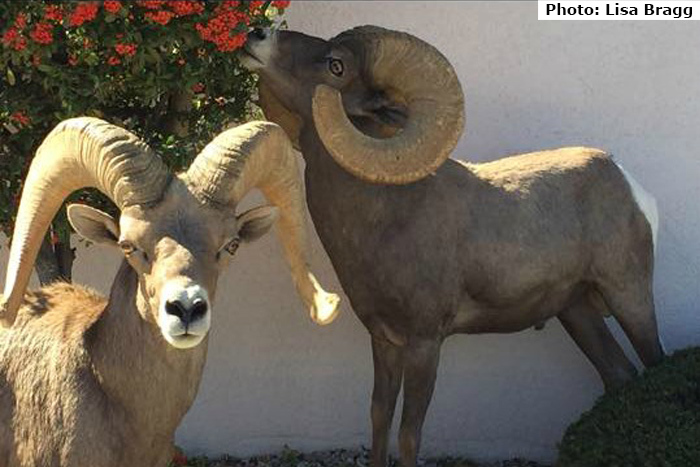 We thought we’d celebrate Election Day with a happy image of our favorite bighorn sheep snaking on some berry bushes in a local yard. Thanks again to Fan Lisa Bragg for sending this beauty to us a few weeks ago. And of course – don’t forget to vote today!